Capture more customers and close more sales this November with prize coverage from Odds On Promotions! Here are just a few ideas designed to help you drive increased traffic and generate increased revenues by giving your customers the chance to win life-changing prizes, paid for by Odds On. Kick your “prize patrol” promotions up a notch with Odds On’s Cornucopia of Cash and Prizes, a tablet-based Video Scratch & Win game where lucky qualifiers get the chance to win up to $100,000 on the go and anywhere. Players simply select six lucky squares on the tablet’s touchscreen, and if they find six winning symbols, they’ll score your grand prize, paid for by Odds On Promotions. Award guaranteed prizes based upon your budget! 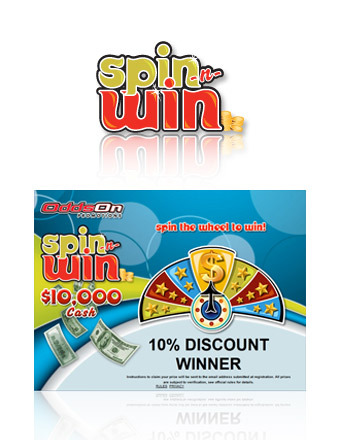 Click here to learn more about Tablet Video Scratch & Win Games. Score traffic and revenue with a giant prize basketball promotion from Odds On Promotions. 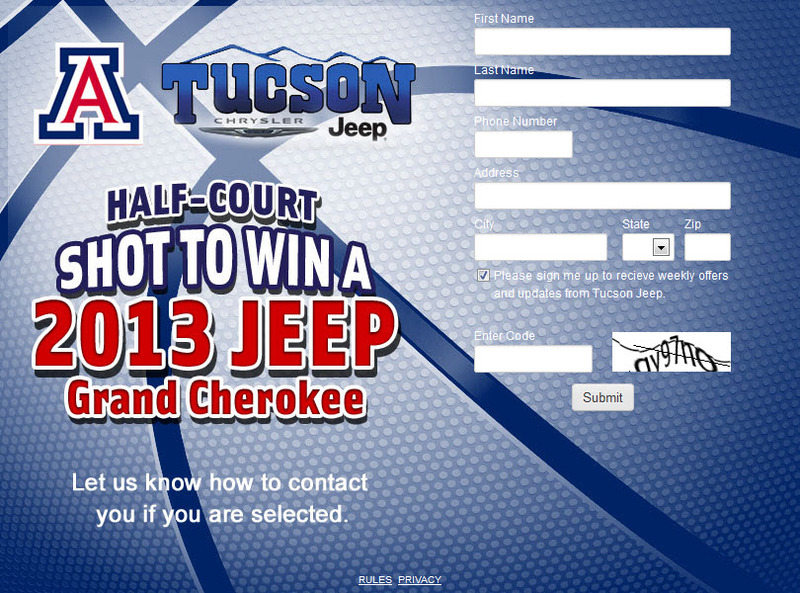 Check out these fun and affordable insured prize basketball contest ideas! Give your patrons the chance to win a fortune, with Odds On’s Video Scratch & Win game. This easy to play game will get patrons lining up for a chance to unveil six spots on a touchscreen grid. 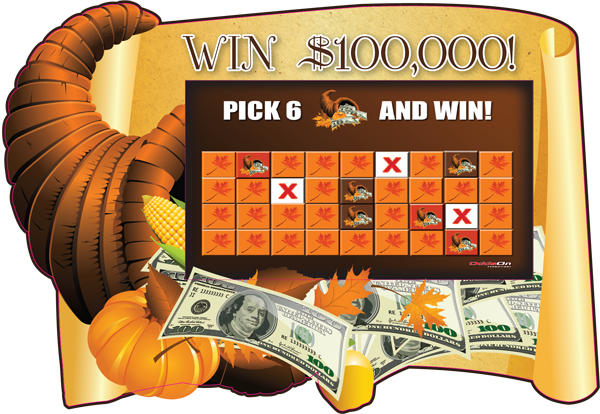 Find all six grand prize symbols, and your customer will walk away with up to $100,000 or more, paid for by Odds On. Keep them coming back for more by awarding up to six secondary prizes, such as bounce-back coupons good for future purchases. See More Games. Reward patrons during Black Friday Sales/Events with the chance to win cash and prizes, paid for by Odds On Promotions, with a Shop, Spin & Win promotion. Distribute play codes during your sale, directing shoppers to your web or social site to enter their code for a chance to Spin & Win prizes. If a lucky shopper has the winning touch, they'll win your grand prize, and Odds On will pick up the tab. 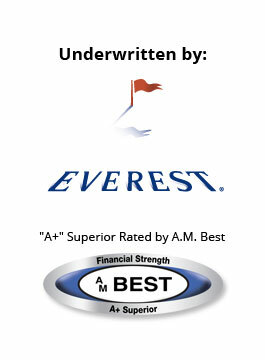 Perfect for awarding discounts and post-holiday bounce-back offers! Drive more traffic with a giant prize Zoom Ball Promotion! Contestants approach the Harvest of Riches Zoom Ball machine and press the giant red button activating the machine's ball blower and start rooting for six lucky balls to fill the machine's "Zoom Zone." If they do, they'll score your grand prize, paid for by Odds On. 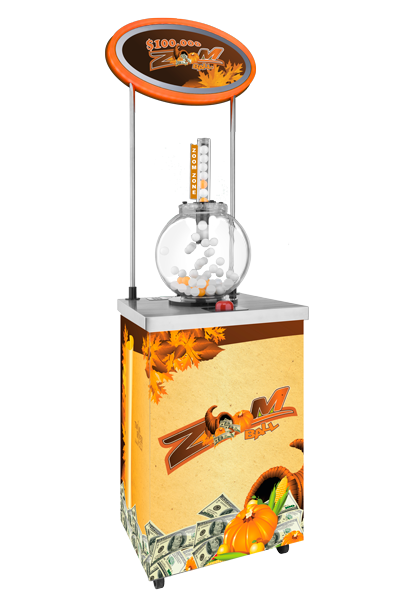 Insurable up to $1,000,000, Zoom Ball Deluxe features a programmable printer for producing prize or drawing coupons, a telescoping LED sign, matching 3-sided decorative base wraps and a customizable backlit sign. Want to generate bigger returns on your next direct mailer? 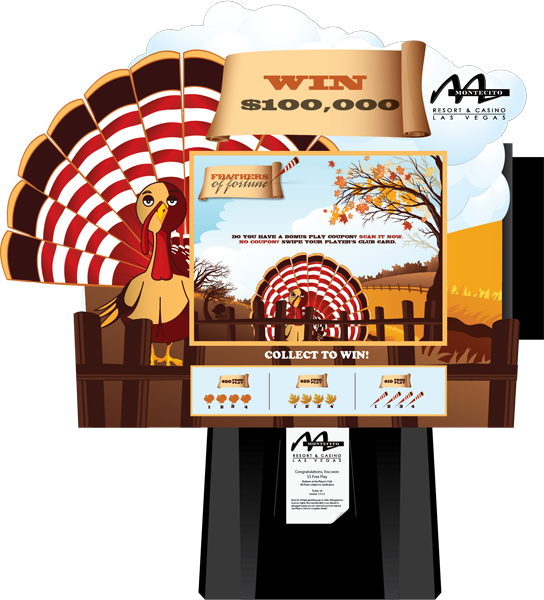 Be sure and ask about Odds On's Harvest of Riches Million-Dollar Mailer promotion! Click here to view all available Zoom Ball games.